Opinion: Would you let the delivery guy into your home when you're not there? I wouldn't. 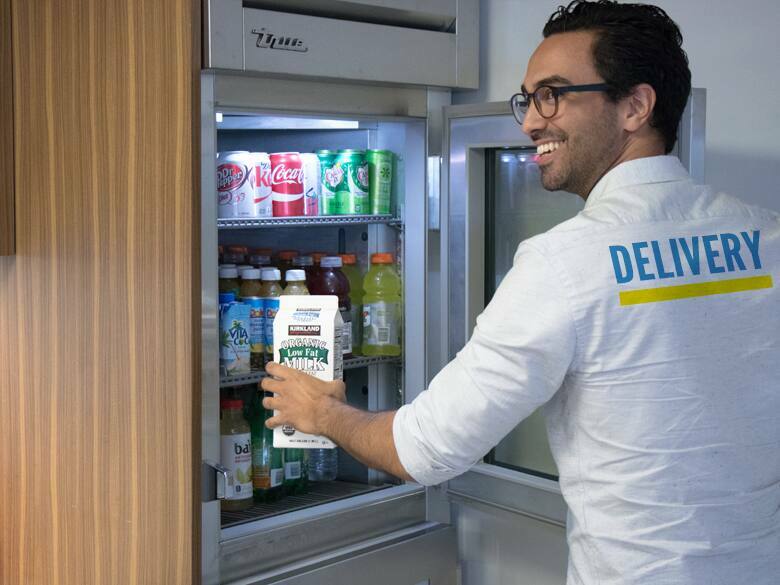 In an interesting move to compete with AmazonFresh, Walmart announced it's testing a new grocery delivery service that would allow the delivery person direct access to a customer's home to not only deliver groceries, but also put them in the fridge. Walmart is partnering with smart locks and home accessory company August Home to test this new service with a group of customers in Silicon Valley. According to the announcement, the delivery person will be given a one-time access code for the lock to the customer's home. When it's been activated, the customer gets a push notification on their phone through the August Home app where they can watch the delivery live via their home security camera. This whole initiative screams "let's solve another first-world problem!" Home delivery of groceries is a handy service — I've used AmazonFresh for over a year and like it. However, I would never dream of letting a stranger have access to my home when I'm not there just so he can put the groceries inside the fridge instead of leaving them by the front door. There's just too much risk involved, and for what? Is it really that much of a hassle to put away your own groceries? Walmart seems to think so. "What if we created a service that not only did my grocery shopping and brought everything to my home, but even went so far as to put it directly into my fridge? And, what if it was even more convenient because this “in-fridge delivery” happened while I was at work or off doing other things?" This is pulled directly from the Walmart blog post. I get that time is a valuable commodity, but let's not kid ourselves. You can put away your groceries in a few minutes. Not to mention, if you're a creature of habit like me, you want certain things on certain shelves in your fridge. I can't just have someone improvise where my groceries go. What if the string cheese ends up in the produce drawer?! And what does the screening process look like for these delivery people? If it's similar to Uber's process, it's not worth the risk. I also assume you need to have both a smart lock and security camera to use this service, but there's no additional information on how that will work. If you have dogs, you'll probably have to put them away on days you're having groceries delivered. Depending on the size or layout of your home, that may or may not be an issue, but it's something to consider for pet owners should this new service expand to more areas. I personally don't understand what spurred this initiative. Maybe it's a knee-jerk reaction in response to Amazon buying Whole Foods, or maybe Walmart did some market research and found that people are extremely lazy when it comes to groceries. Who knows?! I just can't see myself ever letting a stranger into my home when no one is there only so I don't have to put the milk away. It would be one thing if Walmart started this program to help people with disabilities who struggle with carrying heavy grocery bags, but based on their blog post, it doesn't seem like that was part of why they came up with this program. What do you think about this new grocery delivery service Walmart is testing? Would you try it out?